They are cute, small and furry – and don’t leave piles of poop in your back garden. 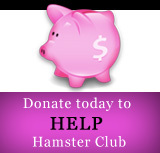 While cats and dogs may be top of the pets, hamster owners know how special their furry little friends can be. But don’t be deceived, like any pet they take a lot of care and attention and are a big responsibility. Once you are sure you can give your little friend the love and care he deserves, however, they will steal your heart. 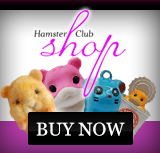 Here’s why hamsters make the best pets. 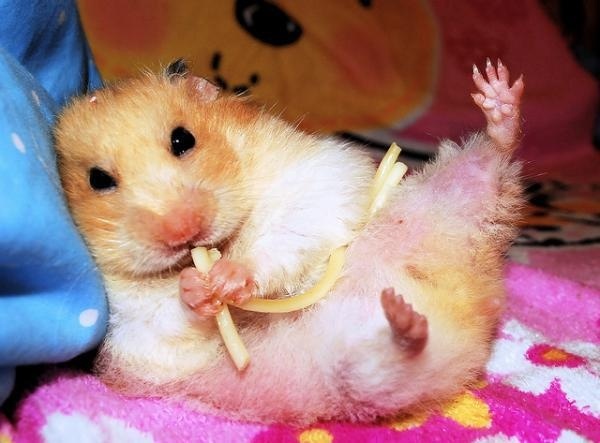 Hamsters are delightfully cute. I can't stop smiling when I look at them! While a dog might bark and jump up and a cat might be aggressive to house guests, the hamster couldn’t care less. She is happy enough dawdling around her cage, filling her cheeks with food and quite possibly having a snooze if it is daytime. Lonely at night? These little crepuscular (it means active during twilight) critters will keep you company (and possibly keep you awake) while they play in their cage. Stroking a hamster can help soothe a troubled mind. They love to explore their surrounding – just don’t forget to shut the cage door.REMEMBER!Hamsters live up to two years and are a long-term commitment. Their needs are complex and they can be easily injured if they are handled incorrectly. They require a healthy diet, including fresh clean water, and a suitable place to liv.